After calling around to find a foot control for my Elna Diva sewing machine, I finally found an Elna dealer in Santa Monica that seemed to think he could help me. I was so nervous. It was like I was taking a pet to the vet. When he took the machine to the back room I waited listening to see if I could hear it running. Then he came out and said it was just a bad foot control and I breathed a sigh of relief. New sewing machines are so expensive. I bought the last foot control he had in the shop, $169.99. He said Bernina and Viking foot controls are even more expensive. I plan to try out some new machines anyway so I will be prepared when this machine finally does stitch its last stitch. I may use this blog to post my thoughts on the different brands and the prices I am quoted. It is hard to find exact prices on the internet. The MSRP is almost never the price dealers actually charge, kind of like buying a car I guess. Comparisons between brands are hard to find too for some reason. I will need to do my own actual hands on research to make an informed decision before I buy. Here are a couple of photos of the beach. If I get close to the water I like to at least look out over the horizon. The vastness is always amazing. 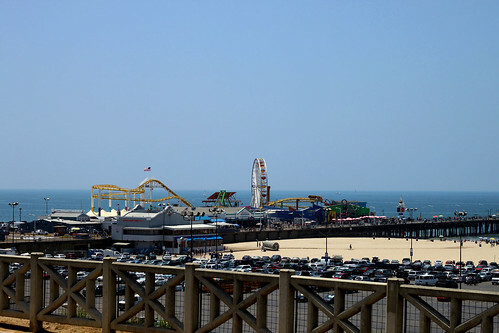 The first photo is of the Santa Monica Pier. I liked the tree in the second. This entry was posted on Wednesday, July 8th, 2009 at 3:00 am and is filed under Sewing. Tagged: Sewing. You can feed this entry. You can leave a response, or trackback from your own site. I’d love to hear what you find out about machines. I can’t seem to find pricing on the internet except for used machines or Ebay. They want you to come into the shop! Good morning. Here’s a link with tons of sewing machine reviews from actual owners. Hope it helps http://sewmamasew.com/blog2/?p=828. See you in August. 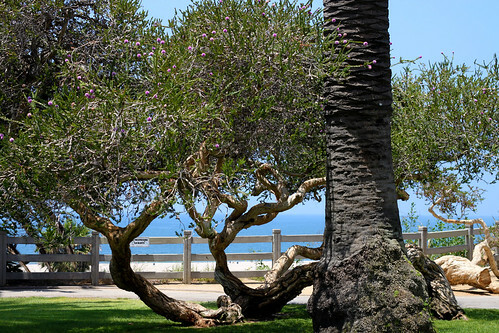 Those trees remind me of the trees at La Jolla Cove. Cool pics. Hope you get the machine situation resolved soon. I look forward to seeing what you get. It just may influence a future purchase for myself…althought it wouldn’t be for quite awhile.